Both children, but Arlo especially, love to ‘help’ me with the washing. It’s got to the point where I have to double and triple check what’s in the machine before I put a wash on as often the odd discarded sock or pair of PJ bottoms will end up in there – either that are already clean or are completely the wrong colour and liable to turn a whole set of Athena’s white polo shirts blue or something! 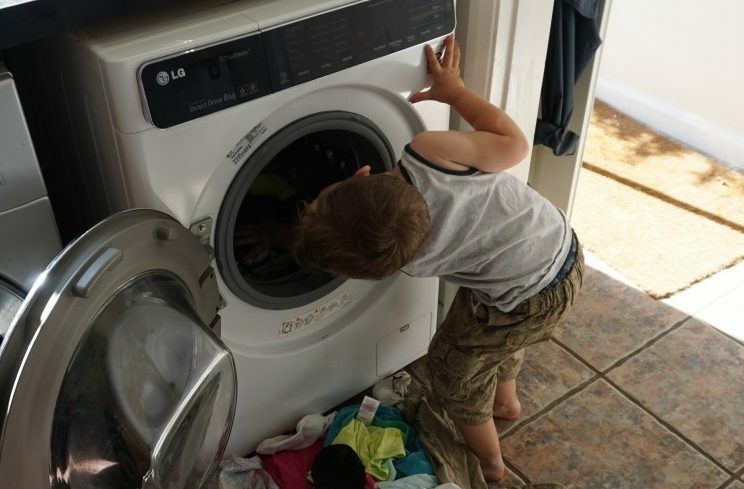 But it is lovely that they’re interested in helping, even if they squabble over who puts the ball of detergent in the wash and who presses the buttons! Funnily enough neither of them are as keen to help me put the washing away once it’s all dried – funny that!